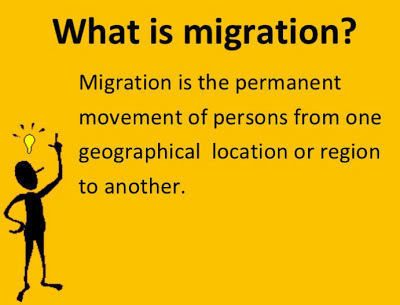 * Have another look at the Migration PowerPoint presented tonight in class on the TSC Moodle. 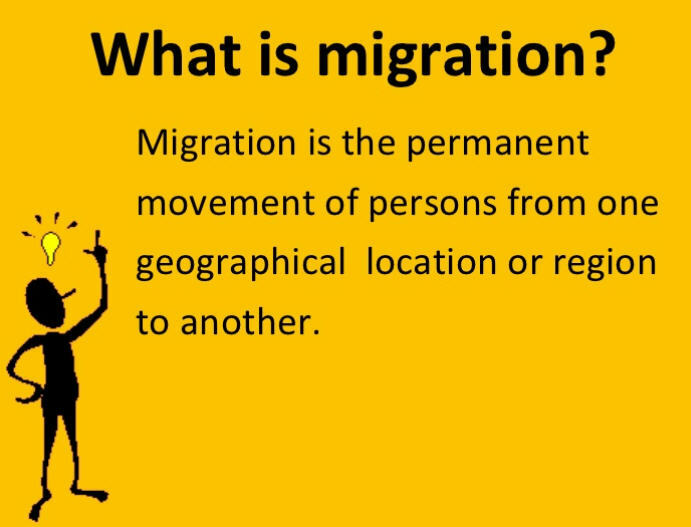 * Try to find a Slideshare or YouTube which you can show to class and explain the geography. This interactive migration map allows you to see for every country in the world either the top ten providing countries of lifetime migrants or the top ten receiving countries of lifetime migrants. 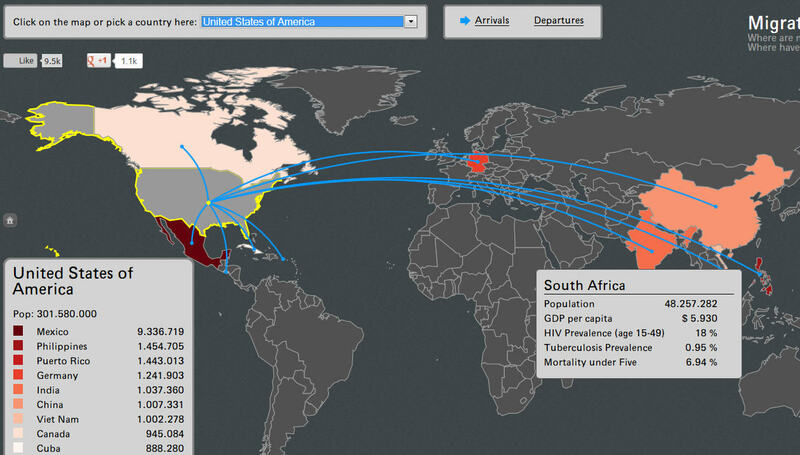 On top of that, when you let your mouse hover over a country, you can see the total population, the GDP per capita, the HIV and Tuberculosis prevalences and the death rate of children under five.